This dramatisation fits in between 'Alien' and 'Aliens' and essentially provides the backstory for Newt and planet LV-426. As such, if you're a fan of the films (which you presumably are to be considering this) you pretty much know where the story is heading. However, much like Star Wars' Rogue One, although the outcome is predetermined, the journey is still well worth making. It has a couple of minor flaws-some of the characters are sketchy stereotypes (the two company scientists in particular are one dimensional and almost comically evil) and on occasion some of the protagonists (particularly the children) seem jarringly blase about the horror and loss around them. These remain petty quibbles only in the face of the gripping narrative which grabs you by the throat and gallops along with you. The central figures are well realised with excellent voice acting and the tension builds with the claustrophobia and terror that the films portrayed so well. It is seamlessly intercut with what sound like extracts from the original 'Aliens' movie featuring Ripley before she leaves for the planet and this adds an authenticity that in my mind has now cemented this as being THE actual sequence of events linking the films. It all makes for engrossing and chilling listening. I warn you also that listening to this audiobook also leads to the risk of you annoying the hell out of those around you for a couple of days by responding 'copy that' to everything! Just prepare a darkened room, maybe inject a minor sedative into your credulity for added effect and you're ready for five hours of Alien-inspired adventure. Filling in more of the gaps between the first two Alien films the five star cast propel this story at a simply steaming pace. With top notch production values just let your mind conjure those iconic images; the horse shoe space-ship, the Alien, the pods and test your sanity against the results. An epic in five hours! Audible . . . one question . . . when's the next one coming out? 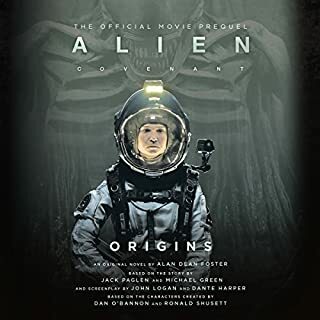 I thought people might like to know that although Audible draws attention to the fact that 'special guest star' William Hope is returning as Lt. Gorman (little more than a cameo), they make no mention that three other actors reprise their roles from the film Aliens. In a substantial role, Mac MacDonald returns playing Al Simpson (seen in the special edition cut). also, Stuart Milligan as the man who rescues Ripley from hyper-sleep at the beginning of the film "There goes our salvage guys!" and Alibe Parsons returns as the Med Tech on Gateway Station. I thought it was pretty good. It suffers from the foreknowledge that everyone but Newt is doomed and it take two hours to get to the good stuff, but I can't fault the acting, and the unexpected appearance of Mac MacDonald, Stuart Milligan and Alibe Parsons raised goose-pimples as soon as I recognized their voices. As for the 'poor encoding' of the review title... Productions like this should sound spectacular, I own several Dirk Maggs radio dramas on CD and they all sound as good as a modern movie. 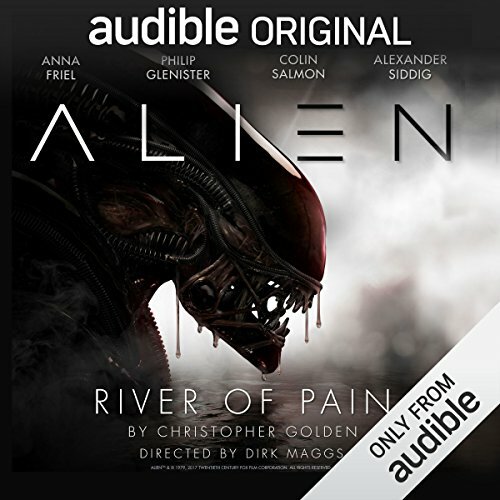 I'm sure that when he turned it over to Audible 'Alien: River of Pain' sounded great. Unfortunately the BEST quality download offered here has been downsampled to 22.5kHz and then encoded at 64kbps. The result sounds mushy and riddled with sibilance, the background music being particularly badly effected. Sonic vandalism. And they have the cheek to compare this to CD quality. Please, for full cast drama with music and sound effects, up the sample rate to 44.1kHz and the bitrate to at least 96kbps. You could call them Audible HD and at the rates I've suggested the files would only get 50% larger than the "Enhanced" download. Having stumbled upon the excellent "Alien: Out of the Shadows" earlier in the year, I was excited to see the release of "Alien: River of Pain" and snapped it up as soon as I was able. 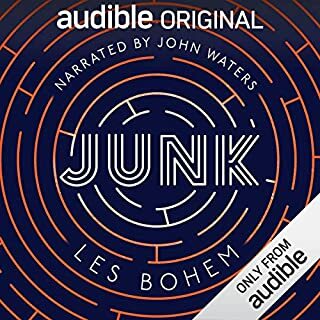 I have to say, I'm disappointed with this audio drama. Without giving away too much, it's essentially a re-telling of the Aliens story, filling in some of the gaps around the colonists lives on LV-426. As such, there's very little originality on offer, and any fan of the movie will already know the outcome, so there are no great surprises. As it is, there is little new for the listener to discover or learn about the Alien universe. The production is good and voice acting up to scratch - however, neither are as convincing nor as engaging as Out of the Shadows. I found way too much focus on the child characters, with too much time given to the Newt back story, and found them really quite irritating to listen to. The marine characters and their relationships came across as unconvincing as well as the stereotyped "scientist types" representing the Weyland Yutani corporation. Ripley is there, of course, but simply to provide background on the fate of the Nostromo and to pad out the unfolding events. Her involvement in the story, or lack thereof, is disappointing. 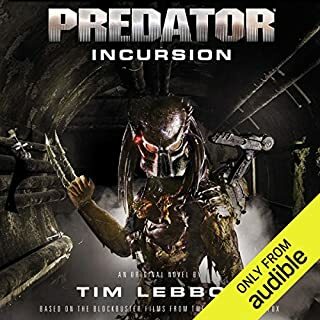 As a mechanism to flesh out some of the back story of the Aliens movie, specifically "what happened on LV-426", the audiobook serves its purpose. It's just a shame that Out of the Shadows set such a high bar for expanding and challenging the Aliens universe, as River of Pain feels like a real step backwards. This was a brilliant take on the Alien to Aliens story. Having never read the comics, I don't know if this was how they went but I really enjoyed this and wish there was an actual movie version of this made to show the events of Hadleys hope and its colonists. worth the listen! I was very pleasantly surprised by Out of the Shadows so when I heard this was coming I was looking forward to it. The production is to the same high standards. The sound effects of pulse cannon fire, alien screams and even the door openings all help to immerse you in the tale. The cast is very good though I did find Anna Friel's performance as Anne Jordan a little strange, almost like she wasn't sure of her lines. The children were ok, no standout Newt lines this time though they did slip in a "mostly"
I was overjoyed to hear Mac McDonald, good old Captain Hollister himself return to the role of Simpson. This role was cut from the theatrical release of Aliens but was present in the Directors. He was brilliant as always. The story isn't as interesting as Out of the Shadows. There are some nice extra plots like the research team and the first half builds the tension well. I appreciate the scenes with Ripley allow some time context, but seeing as most of them are just replays of scenes from Aliens they could easily have been reduced. The story does introduce not really plot holes but much like in the previous story events that take some leaps of logic to explain. Overall a satisfying production. I hope the third book Sea of Sorrows will follow soon and I would like to see other Alien universe audio book productions. This is a totally compelling and completely engrossing sci fi horror drama, it's nail biting, I've read the novel a few times and that was brilliant but this is the next level, if your a fan of Aliens you will be able to picture the setting, the tension builds and builds, until the inevitable final, the performances are wonderful, excellent casting choices, I recommend to all, you won't be disappointed!! A step down after Out of the shadows. Was Alien: River of Pain worth the listening time? Yes but I don't think I'd listen a 2nd time. A step down in quality after Out of the shadows. It's well produced but the voice acting is a bit hit & miss. The story is also pretty mediocre. 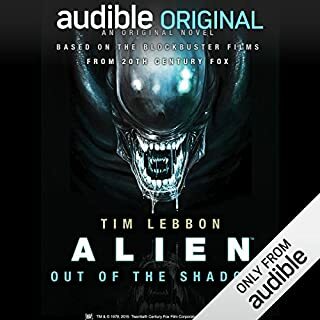 I loved the aliens: out of the shadows audio book and really looked forward to this one, however, there is a much larger cast and some of the voice actors just don't cut it. I think the children are the most annoying characters in it. 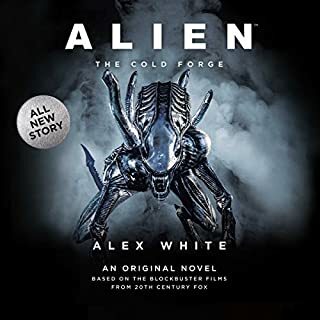 The book fills in what happened at Hadleys hope before Ripley arrives in the Aliens movie, and although it's a nice extra bit of alien lore I thought the story was a little weak in parts and let down by the voice acting of some characters. No I won't. It started off great, but the end spoiled it for me. They missed the part when they come out of cryo-sleep and Ripley finds out Bishop is an android when they are sat round the table in the mess. We weren't introduced to the marines before they head off to LV-426, and the story ends when Ripley first encounters Newt - a whole chunk is missing which could have been added which would have made the whole thing more interesting. I liked how the actor sounded like Ripley, but I thought they all were good. No. It lacked any emotion. If it went into more depth regarding the deaths and people being taken it might have held a deeper emotion for me, but it focused more on the fighting and the aliens. It wasn't gripping, scary or sad - it was all action, more like a video game. Loving this audible original format. Great story's that tie in with the movies. Fantastic voice and audio, really feels alive. Just wish there were more like this. excellent, hard to put down! Love these dramatic re-enactments so much! They are not only great to listen to and put you in the action, they fill in the gaps between movies. So well enjoy this story and I’m hopeful there will be many more to come. Fantastic storyline. Amazing to hear such a well known story from another point of view; slots very well into canon. Only issue is with the child voice actors - most of the time it was very apparent that they were reading directly from scripts, and their general emotion & inflections in dialogue showed this. That being said, I highly recommend this audiobook. Enjoyed it, filled the gap between the movies very nicely. Excellent voice acting too. A movie in your ears! 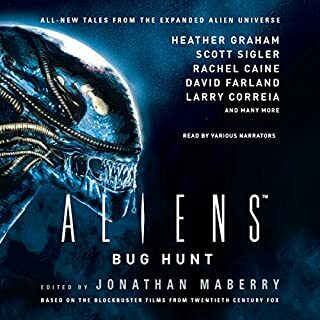 Taking place on the same timeline as Aliens (James Cameron’s sequel), fans can now find out what exactly happened to the inhabitants of Hadley’s Hope. Brilliant story aside, the difference here from the vas majority of audio books is the vast cast of actors, the Sfax and ambient sounds that contribute to an awesome story. No longer are you condemned to a single voice reading pages of your favorite book, but rather you are treated to a litany of sound extravaganza! Welcome to what audiobooks should be! Despite having the same high quality production values as Alien: Out of the Shadows, I was a bit disappointed in this one. This is an attempt to do a prequel to the movie Aliens by greatly expanding the story of Newt’s family combined with re-enacting certain early scenes from Aliens.... but it just wasn’t an engrossing enough tale for me. Also felt there were too many characters: got confused sometimes with which soldier or which scientist was speaking. Also felt the portrayal of the children was unrealistic: the kids were surprisingly chirpy and upbeat considering the horrific events that were occurring.